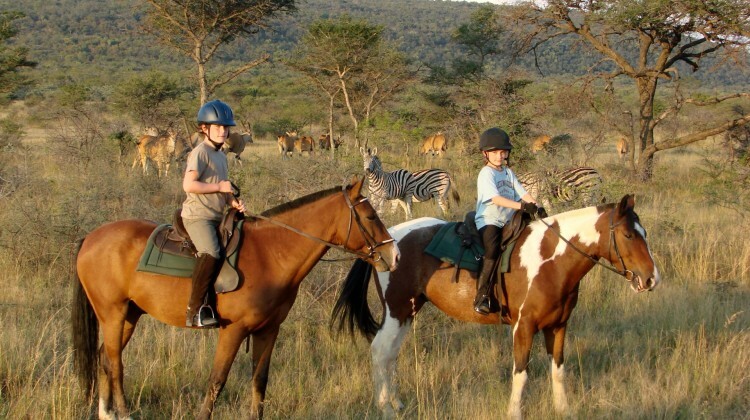 Although some riding safari options require that you are an expert rider, proficient at all paces, there are plenty of others where children, beginners or novice riders can enjoy a riding safari experience. Here’s our pick of some of the best African riding safaris for groups with beginners and mixed ability riders to suit all … I’m a keen rider with my own horse and have ridden since I was little. 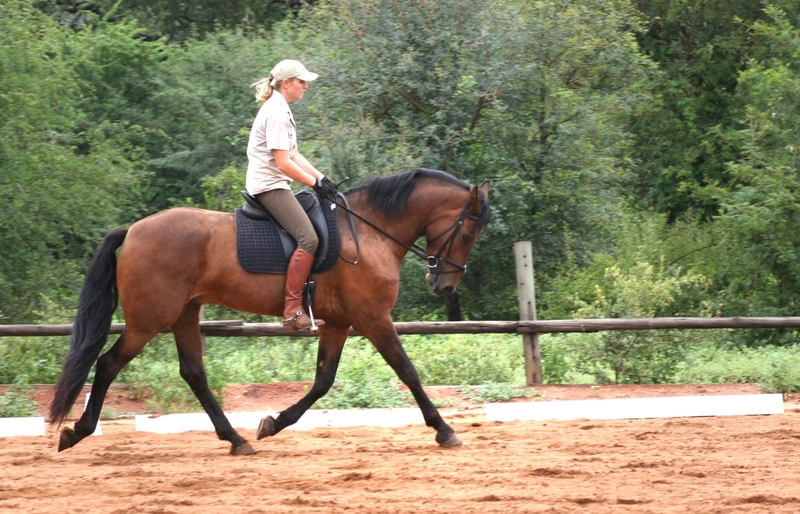 My husband is less competent and my girls need gentle easy horses to even persuade them to ride, so I’ve got a good idea where everyone from beginner to expert can have an enjoyable riding holiday in Africa. South Africa has perhaps the greatest variety, from exhilarating riding in the Kruger National Park to beach rides and gymkhana games. 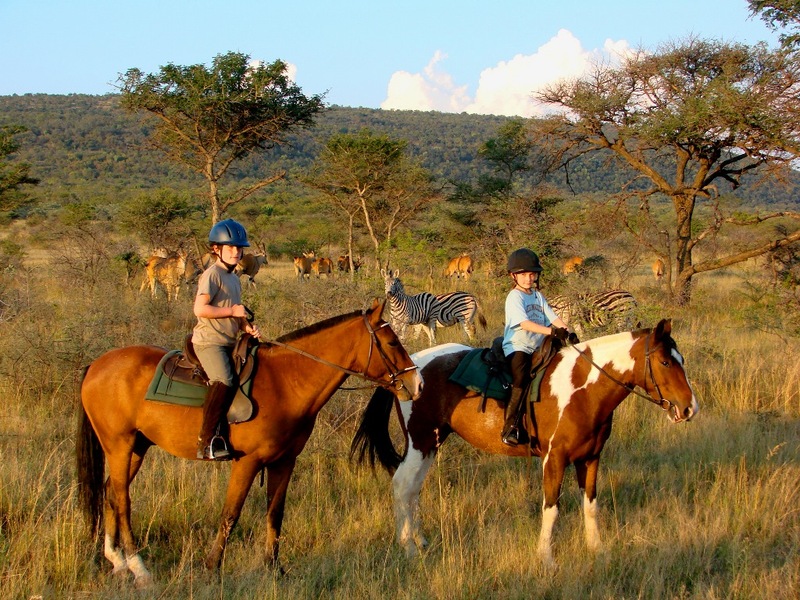 Head to the malaria-free Waterberg region and you’ll find Ant’s Nest and Hill riding, and Horizon Horseback Safaris offering a wonderful range of riding safari options. 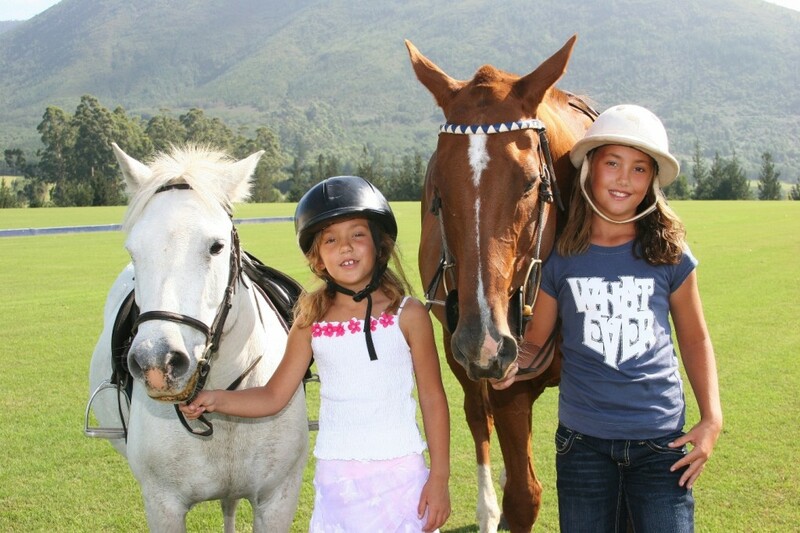 Family favourite Ant’s has around 90 horses from fabulous children’s ponies to feisty Thoroughbreds. Basic lessons are available for non-riders and some guests even learn to ride and gain confidence here. Horizon also offer riding holidays for the less experienced. 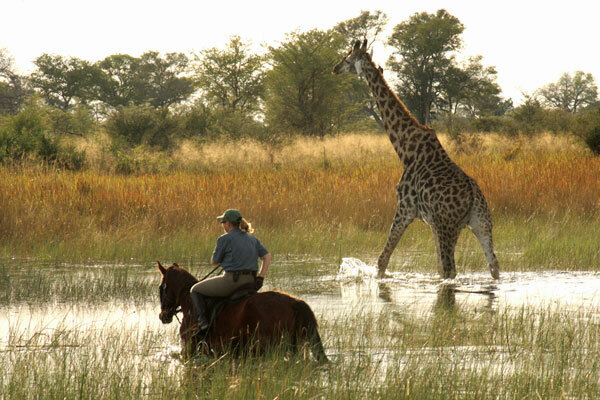 There are no dangerous animals on the ‘home reserve’ and the plains game is incredibly calm here, making for exciting animal encounters on horseback for those without the experience to take the longer, faster multi-day rides. 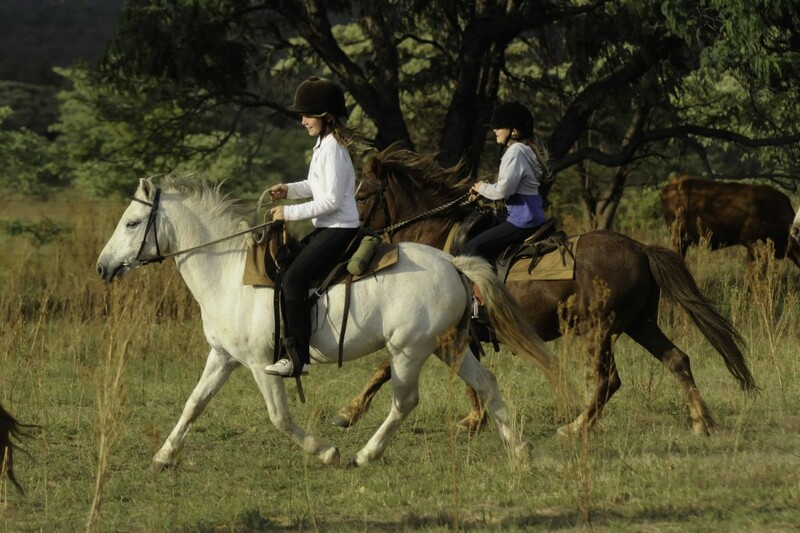 Some lodges even offer safaris to brush up on your riding skills. Wait a Little Safaris’ ‘fit for safari’ ride is designed to improve your riding skills. 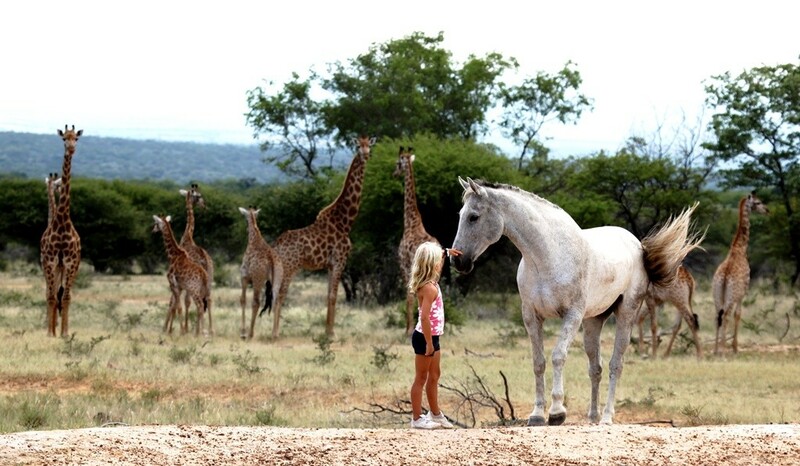 Mornings are spent in the arena with practical lessons while afternoons can be spent out on safari. 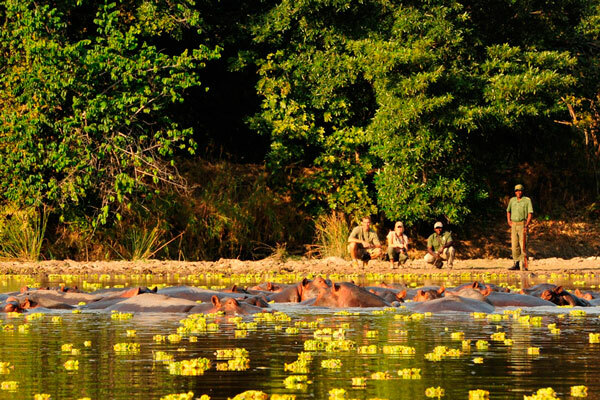 As you are likely to encounter big game while out on safari, participants need to be able to ride to a decent standard, but it’s an unusual and interesting way to improve and learn. 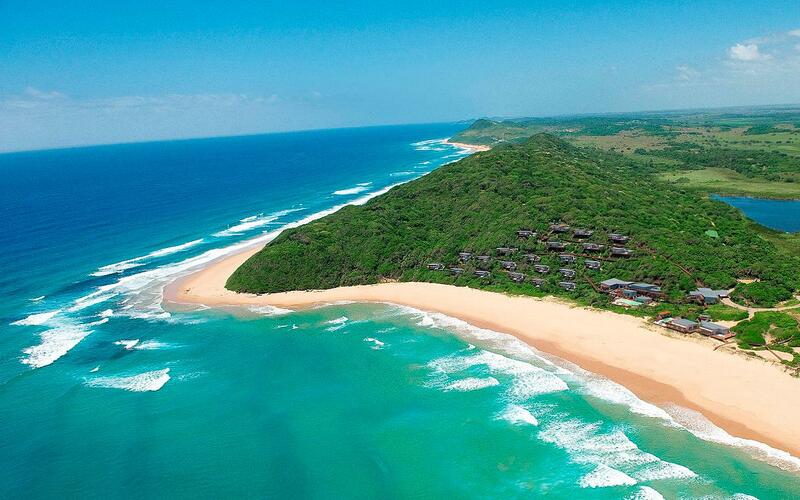 There are some fun options in the South African Cape too. 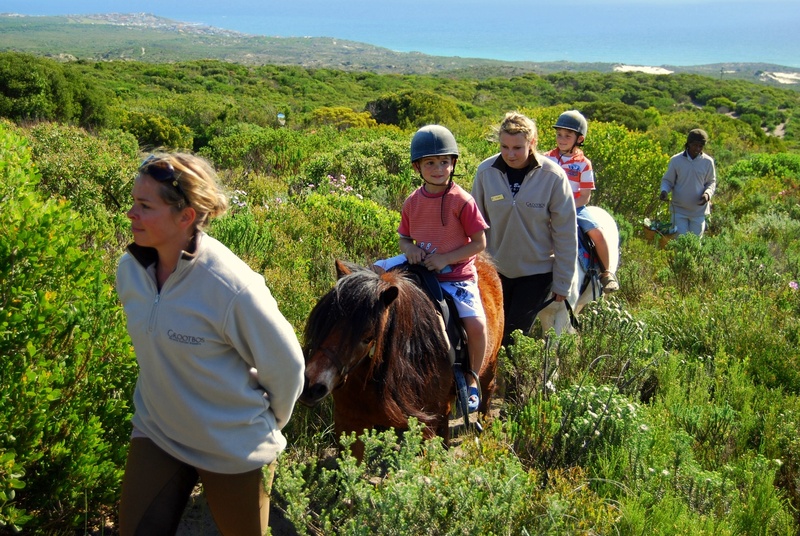 Grootbos offers glorious riding around the reserve and since there’s no dangerous wildlife here riding really is suitable for all levels. 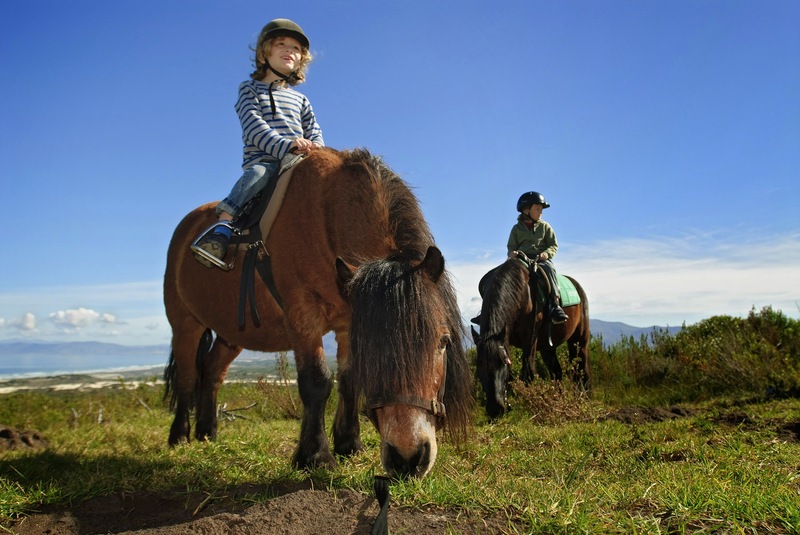 There are 18 horses and ponies to choose from and the panoramic views of the mountains and sea make this a magical riding experience. 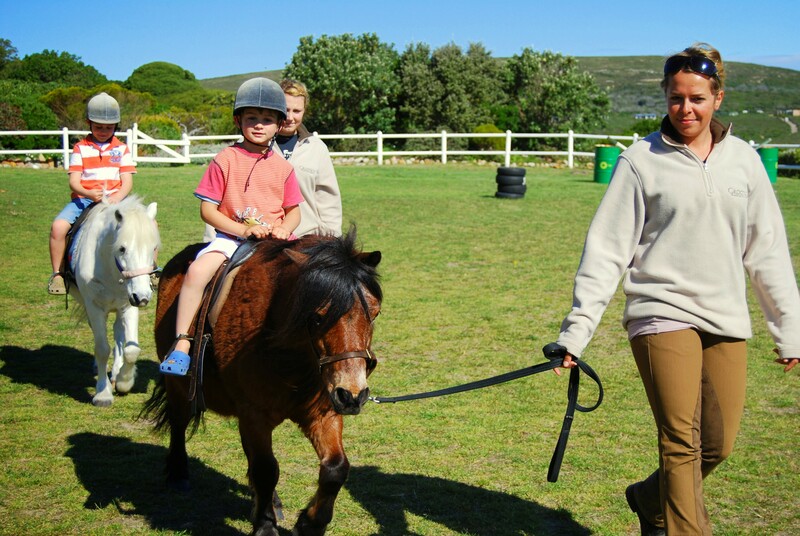 A little further down the Cape coast, luxury hotel Kurland also has a stable of horses and ponies. 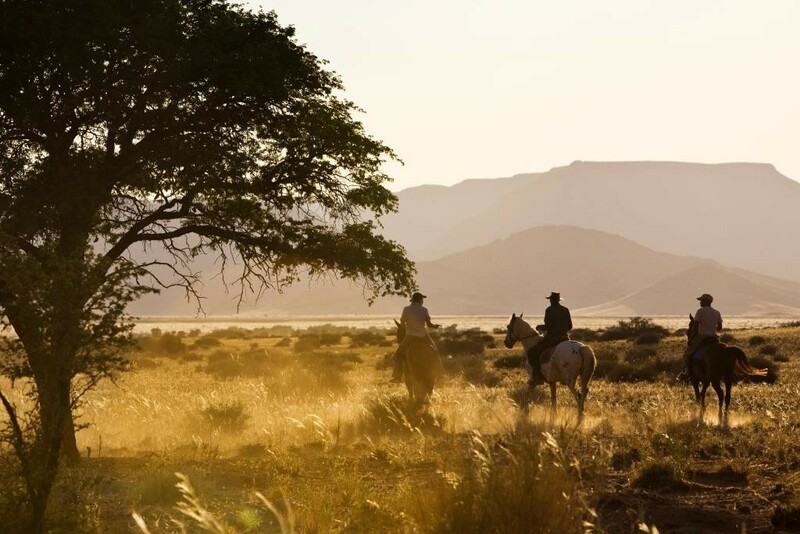 The breathtakingly beautiful scenery at Tswalu Lodge is enough to inspire anyone to explore on horseback. 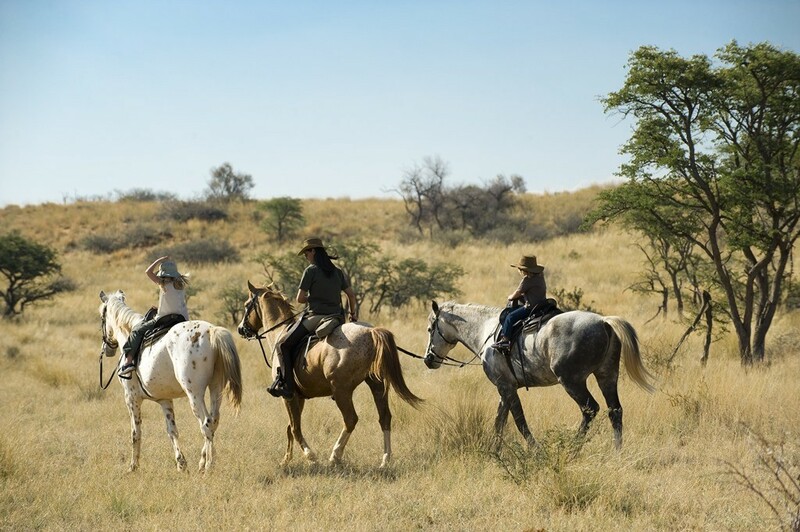 There are mounts to suit everyone and experienced equestrian guides will ensure everyone from the nervous novice to advanced rider has a wonderful holiday amid the grassy plains and rolling dunes in this corner of the Kalahari. 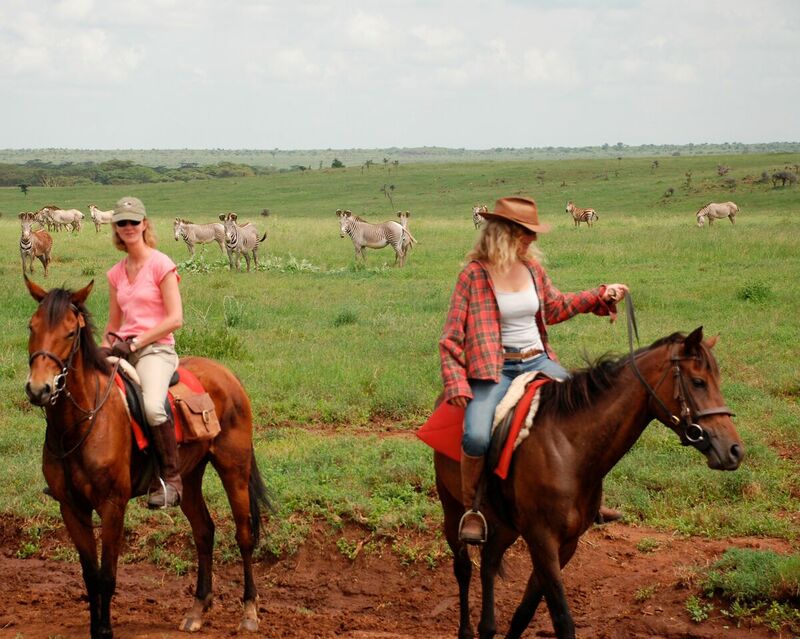 Kenya is another country offering a good range of riding safaris. For the experts there’s fast-paced riding adventure through the Masai Mara reserve alongside the great wildebeest migration. But there are still plenty of riding holidays for the less experienced. 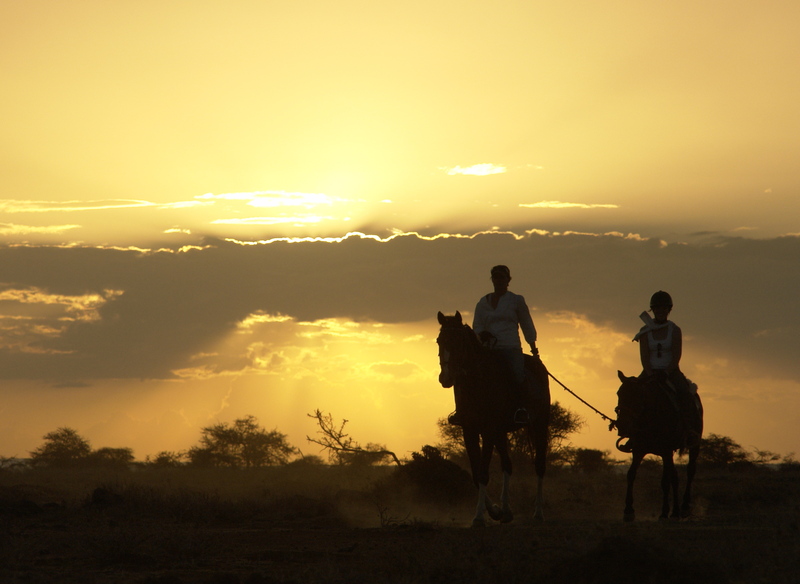 Borana Lodge has three different stables housing its horses, with one offering ‘patent safety’ horses trained to be careful with children and novice riders. These steady animals will carry guests on the plains where they can ride among giraffe, impala and zebra, experiencing what it’s like to get up close and personal with African wildlife. 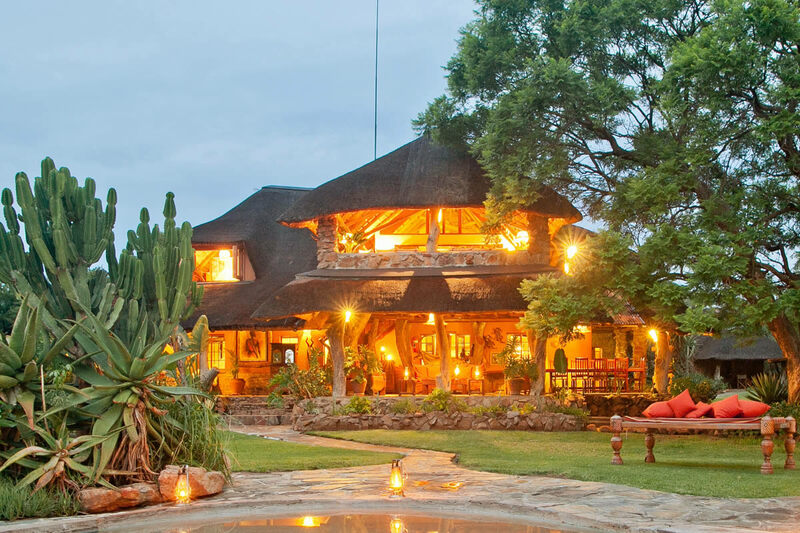 Ol Malo is another where you can take a gentle ride into the African bush from the lodge. Some experience is necessary here as you might encounter elephant while riding but the pace is gentle so suitable to those more comfortable at walk and trot. Because the wide open desert landscape lends itself to faster riding, most riding holidays in Namibia tend to be for experienced riders. 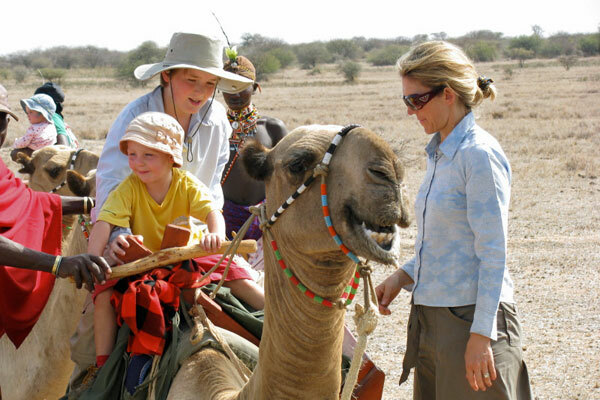 But Desert Homestead is famous for its guided trails into the Namib desert. Riders go out at first light or close to sunset when the colours of this ancient landscape are at their most striking. Beginners are just as welcome to join in the fun as experienced riders. Many coastal properties offer riding as an activity and rarely do you need to be an expert here. In fact, where better to hone your skills than on a flat sandy shoreline. 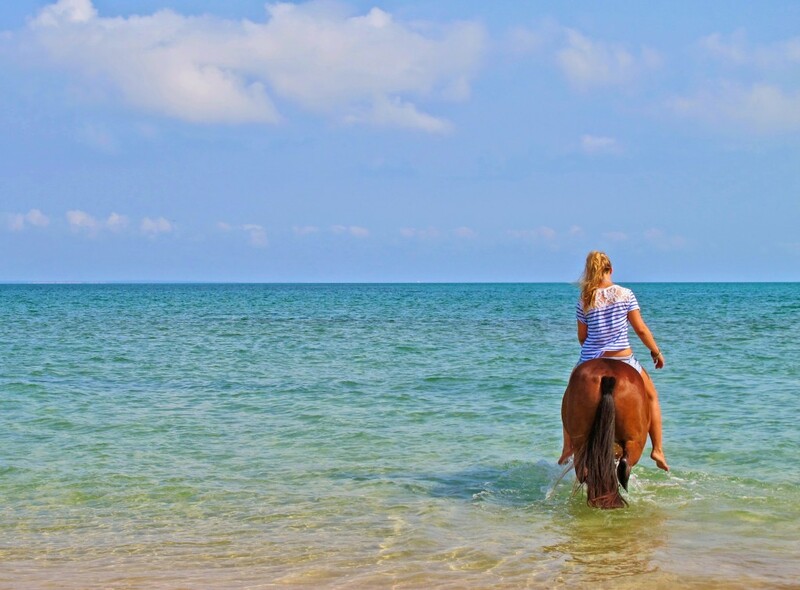 White Pearl Lodge in Mozambique offer rides along the totally deserted coastline, or for those with a little experience Mozambique Horse Safaris organise tailored riding holidays along the southern coastline around Vilanculos and on the gorgeous Benguerra Island. Among our team of safari experts, there are many who ride regularly and a few who ride daily; between them they’ve ridden in all of the places mentioned. Please call Aardvark Safaris and let us know what sort of riding holiday you think you’d enjoy and we will suggest the right safari for you.